How Come a Russian Military Pundit is Obsessed with the President of Lithuania? Igor Korotchenko is a vocal advocate for the Russian Military Industry. He is the editor-in-chief of a major defence journal and a frequent guest in talk shows in TV-channels with strong connections to the Kremlin. He has campaigned to get elected to the Russian Parliament for the Nationalist Rodina party. He is an ardent twitter user with more than 100 000 followers. And he seems to be obsessed with Lithuania’s president Dalia Grybauskaitė. On one single day, January 16, Mr. Korotchenko published no fewer than 13 (thirteen!) tweets devoted to President Grybauskaitė. The president is depicted inspecting a military unit in Lithuania; Mr Korotchenko’s captions have an ironic tone: Dalia Grybauskaitė easily copes with any kind of weapon; “Bang, I’m shooting!” Grybauskaitė is on a first name basis even with anti-tank missiles, awaiting the attacks from the Armata tanks from Russia; She prefers edged weapons. So it goes on. Thirteen tweets of the same type. 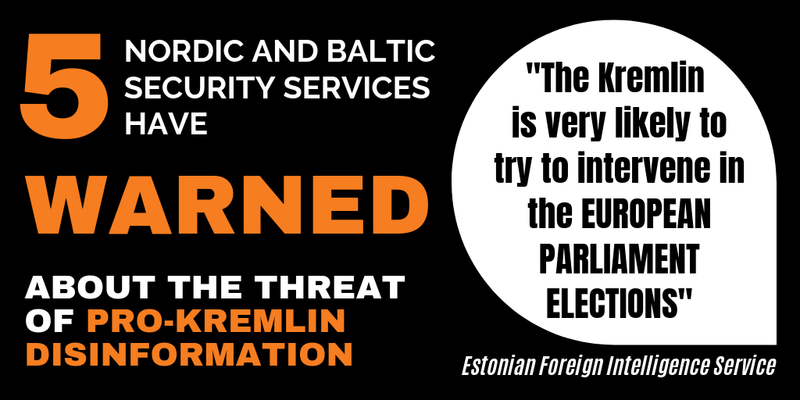 All targeting a European leader, the president of a neighbouring country. And Russian nationalistic newspapers have picked up Mr. Korotchenko’s campaign, especially as Korotchenko’s followers joined in with derogatory comments on the president of Lithuania. The Tsargrad website readily quotes the most aggressive ones, particularly focusing on the fact that the Lithuanian president was born and raised in the USSR. In the logic of the Russian nationalist discourse, she is therefore a traitor. Korotchenko even tries to defame her through alleging a past in the KGB. 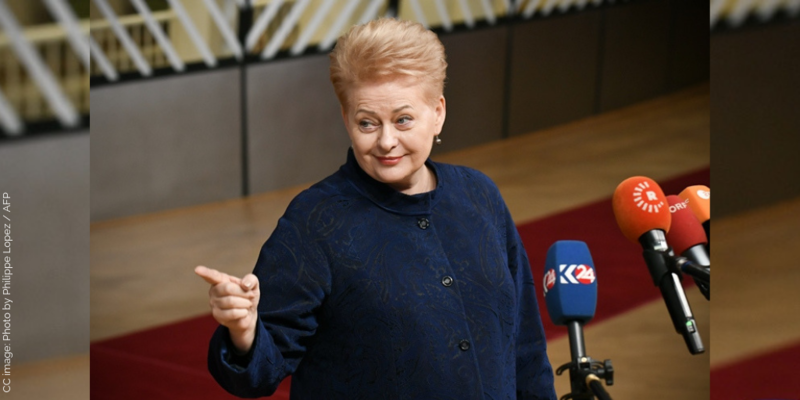 President Grybauskaitė has been very critical – like many other European leaders – about Russia’s illegal annexation of Crimea and its role in Eastern Ukraine, and it is not surprising that she gets attention from Russian nationalists. Defamation of dissidents and opposition leaders is fundamental to the Kremlin rhetorical toolbox, but when it comes to female leaders, a strong element of misogyny is also added. In the Kremlin propaganda, female leaders such as Angela Merkel, Theresa May and Dalia Grybauskaitė are ridiculed in a way one rarely sees when it comes to male leaders. So what makes a Russian nationalist pundit obsessed with a female leader? This is obviously not the first attack on president Grybauskaitė. 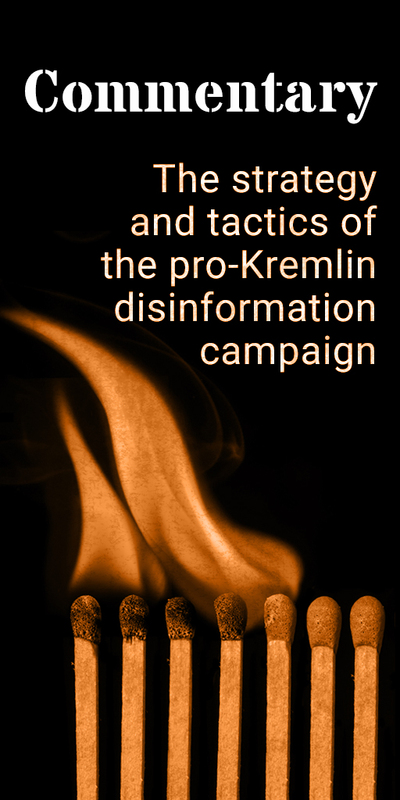 Disinfo Review has observed similar attempts earlier; Mr. Korotchenko’s lies are rather old hat. She has been accused before of being a Washington agent and an agent of the KGB, claims easy enough to refute. Russia in fact has a strong and proud tradition of feminism. Russia was in 1917 one of the first countries in Europe to grant women the right to vote. It was the first country in the world to set up a military combat unit, the Women’s Battalion of Death. Among its revolutionaries one finds several strong women: Vera Zazulich, Aleksandra Kollontay, Inessa Armand. The fight for women’s rights was a strong element in the revolutionary movement. Soon after the revolution, however, women’s right ceased to be a priority for the Bolsheviks, and eventually feminism was branded a bourgeois ideology. Women were phased out from most decision making processes; allowed to perform hard, manual labour, forced to manage family and home, but at the same time generally cut out from career, influence and the possibility of self-determination. The Soviet ideology sported a veneer of gender equality, but attempted in many ways to oppress women. In the Kremlin rhetoric of today, masculinity is a key element. Europe is effeminate and weak. Viktor Makhrovsky, columnist of the state-owned news agency RIA Novosti, proudly declares that Russia will be able to prevail, as there are no more real men in the West. Korotchenko’s rant against Grybauskaitė fits well into this idea. Women are not supposed to be strong, women are not supposed to be commanders-in-chief. Women are supposed to be quiet and docile, and Igor Korotchenko attacks women who challenge his stereotypes.